London: First-time buyers banking on "Bank of Mom & Dad"
Even the Bank of Mom and Dad can’t keep pace with London’s spiraling property market. The average cost of a home in the city has climbed to more than 500,000 pounds (S$1,000,000), forcing first-time buyers to make the largest down payments as a proportion of their income in at least a decade, according to an analysis of Council of Mortgage Lenders data by Neal Hudson, an associate director at Savills Plc. It’s also prompting them to take out larger mortgages, the CML said. At almost four times income, lending multiples for first-time buyers of average London homes are close to the limit for many banks after regulators last month ordered a crackdown on risky lending. That spells further financial pain for parents, who give their children about 2 billion pounds a year to help them get onto the property ladder, housing charity Shelter said in July 2013. London home values rose 20% in the 12 months through August, according to data compiled by the Office for National Statistics. That pushed the average price up to 514,000 pounds, about 46% more than before the financial crisis. Which is where the Bank of Mom and Dad comes in. Two-thirds of first-time purchasers in the U.K. now receive money from their parents when buying a home, double the level five years ago, according to the National Housing Federation, a lobby group for affordable homes. The average first-time buyer in London borrowed 212,000 pounds in the second quarter, or 3.9 times their income, compared with 3.7 times a year earlier, the Council of Mortgage Lenders said Aug. 27. They’re paying 62% of their after-tax salary to make the mortgage payments, the highest level in six years, according to Nationwide Building Society. That’s despite London home buyers having average down payments of 130% of their salary, the most in at least a decade, Hudson of Savills said. The extra savings, or money from their parents, was needed as high loan-to-value mortgages were withdrawn in the aftermath of the financial crisis, he said. In Ireland, which suffered Western Europe’s worst property crash, down payments for first-time buyers have fallen from about 180% of income in 2008 to around 110% in 2013. It’s now considering limiting high loan to income mortgages. The prospect of higher interest rates in the U.K. is starting to deter buyers. Mortgage approvals for house purchases fell 10% in September from a year earlier, the British Bankers’ Association said today. Housing-market transactions may have dropped 9% from August, according to an Oct. 10 report by Acadata and LSL Property Services. London, which was first to emerge from the last U.K. property slump, is seeing the biggest drop in demand. Foxtons Group Plc, a property broker based in the U.K. capital, today said a “sharp” slowdown in the number of homes being sold in the city will cause its 2014 earnings to drop. That triggered a 20% decline in the company’s shares. To increase lending, the government introduced the Help-to-Buy program, which enables home purchasers to take out a loan with a down payment of as little as 5% on properties valued at as much as 600,000 pounds. It also plans to make it easier for people aged 55 or older to access their pension fund to draw down a number of lump sums instead of just one, which may be used to boost payments to children for homes. Regulators are moving in the opposite direction, introducing measures to limit lending. These include restrictions on high loan-to-income mortgages and a stipulation that lenders turn down credit to homebuyers who fail a stress test, which assumes an immediate 3 percentage-point increase in the benchmark interest rate of 0.5%. Lloyds Banking Group Plc, the U.K.’s biggest mortgage lender, and Royal Bank of Scotland Group Plc said this year they will limit customers to a maximum of four times income on mortgages of 500,000 pounds or more to damp house price inflation in London. About half of new mortgages in London are for four times income or more, according to an estimate by Julian Sinclair, chief investment officer at Talisman Global Asset Management Ltd. That “just shows how stretched new mortgage lending in London is, especially relative to incomes,” said Sinclair, whose company oversees 2.5 billion pounds of equities, credit and private lending. Parents are giving 23,000 pounds for each child’s first home purchase, Shelter said on Sept. 16. Almost 20% of parents used money that had originally been set aside for retirement or elderly care. Parts of the U.K. capital are already off-limits to most first-time buyers. About 56% of homes in London’s best districts, including Chelsea and Notting Hill, are now worth 1 million pounds or more, Marsh & Parsons Ltd. said in a report today. Investors were the biggest buyers of homes in prime neighborhoods, purchasing 26% of the properties, down from a record 31% in the previous quarter, the broker said. So the concept of FAMA (i.e. Father & Mother Assistance) is quite universal these days. 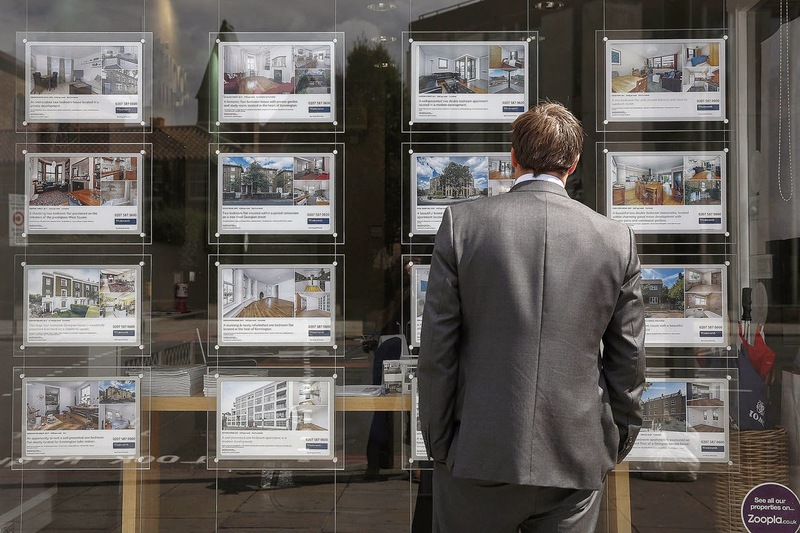 No Comment to " London: First-time buyers banking on "Bank of Mom & Dad" "